1.5V FR Series Lithium / Iron Disulfide Batteries offers Superior Performance in Digital Cameras and any other device that requires AA or AAA size batteries. 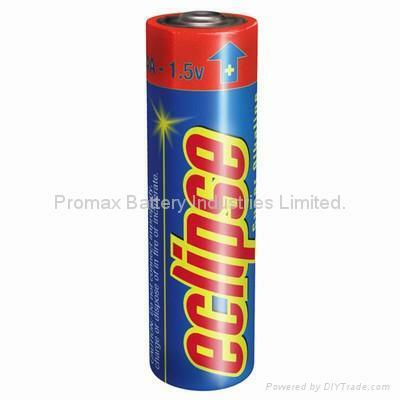 They perform even in the most extreme temperatures -40° F to 140° F. Weighs much less than other batteries and can be used in place of any standard AA & AAA batteries. This makes them ideal for the most advanced, high-drain devices—digital cameras, personal digital assistants (PDAs), hand-held games, portable CD players and palmtop computers. The long shelf life of Lithium batteries make them the ideal choice in thermostats, or outdoor devices operated in cold climates where other AA or AAA batteries cease to function at cold temperatures. Lithium Batteries weigh much less than other batteries and have a 10 year shelf life. Specifications︰ ·Standard AAA size(10.5 Dia. x 44 H mm) lithium battery 1.5V 1200mAh ! ·Super light weight battery : 0.26oz per battery. ~ Last up to 7x longer than standard alkaline batteries in most digital cameras.